We rescue and adopt an average of 100 animals per month. We are also improving our website and would like to gain much more exposure. If you or anybody you know has internet marketing skills please contact our web designer at: AnimalAidAds@yahoo.com. 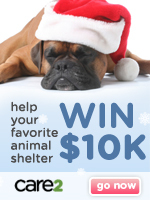 I want to help year round by becoming an Animal Aid "Wing". Labor: cleaning kennels, giving food/water, cleaning dishes, laundry., bathing dogs, etc. General maintenance: drywall, kennel and gate repairs, plumbing, electrical, painting, etc. Office: greeting people and showing dogs - phones, paperwork, filing, data entry, organizing, etc. Evening dog walker and cleaner for the dogs at the shelter (5-7pm). Click Here To Become an "Animal Aid Wing"
If you would like to make a one time donation click below. 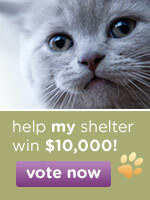 Click the banner below to help raise funds for Animal Aid when you shop online!